At New River Kinematics (NRK), we are dedicated to the continuous development of our core metrology software package, SpatialAnalyzer® (SA). We pay close attention to our users' feedback and regularly incorporate user suggestions into new releases. In fact, you'll find that we never stop improving and enhancing SA. Read below for the latest updates and enhancements in SA Release 2016.06.03. A new Relationship type has been added to SA called a Frame to Nominal Frame relationship. This function operates like a Geometry Relationship in that it provides a customized comparison report between the nominal and measured features. 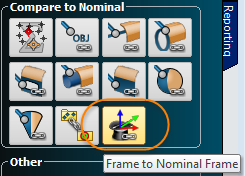 It also combines the best features of our Frame Wizard utility with the 6D dynamic comparison power of a Frame to Frame relationship. This powerful new tool allows you to build a dynamic frame from measured features and have it continually update as those features are recomputed or moved. It also provides a convenient way to perform a frame to frame alignment. Point clouds can now be used to build Geometry Relationships providing a dynamic tool for cloud feature extraction. This feature has been added as an additional association option. When a cloud is used to build a relationship, subsampling options will become available within the relationship properties. A new button was added to the “Minimize Relationships” dialog to allow sequential application of transformations developed from sequential minimization steps with different criteria. This provides a clean way to isolate sequential rotations and translations relative to particular frames without closing and re-opening the dialog. Relationship auto-vector reports have been expanded to include the projection settings used in the relationship computation for greater clarity. Max/Min Vector callouts added directly to auto-vectors now refresh dynamically as points are added to the relationship such that the highest and lowest vectors always have the callout labels attached. Added callout configuration controls for Points to Objects, Point Clouds to Objects, Groups to Group relationship Callouts such that the information can be configured as needed to save graphic space. New Object callout options were also added for planes to display origin XYZ and orientation. Greater point cloud thinning control has been added to point clouds and the point cloud Display Control. 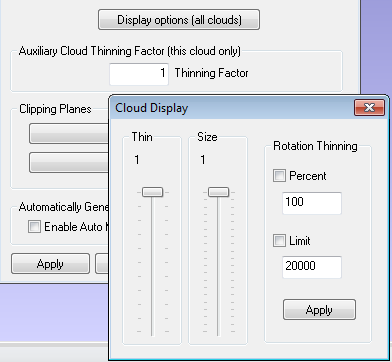 This includes the ability to set thinning independently for different clouds in the same job, set an upper limit for the total number of displayed cloud points, and control the extent of thinning during graphical manipulations. A new inteligent Cloud to CAD or Cloud to Mesh alignment has been added. This function is available directly through the cloud’s right-click properties and provides a convenient way to align an instrument. 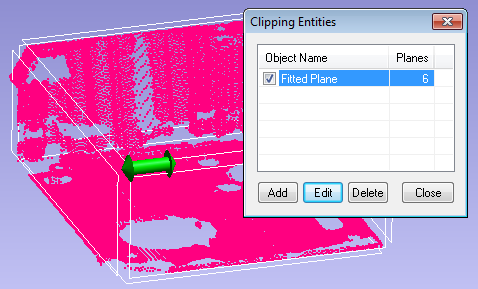 Clipping Planes were added to the Point cloud properties along with a delete hidden cloud points control. This provides an easy way to remove splash points recorded from a tabletop for example. It can also be set up in advance to act as a pre-filter during scanning. A new point cloud type called a Scan Stripe Cloud was added. 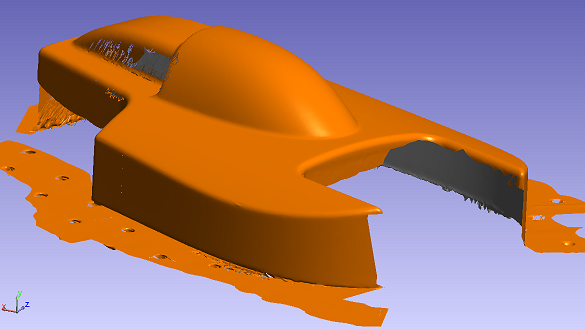 This cloud type includes additional information including embedded transforms per scan stripe to facilitate meshing. A course mesh can be built from cloud points as you scan. This makes it easier to see the extent of data coverage during a scanning operation. This can be turned on through the cloud’s properties and set as default if you want a course mesh generated for all clouds. A refined mesh can now be built from Scan Stripe Clouds with a significant amount of control. These settings are provided within the Mesh properties and the fine mesh can be re-generated as needed based upon changes made to the originating cloud. 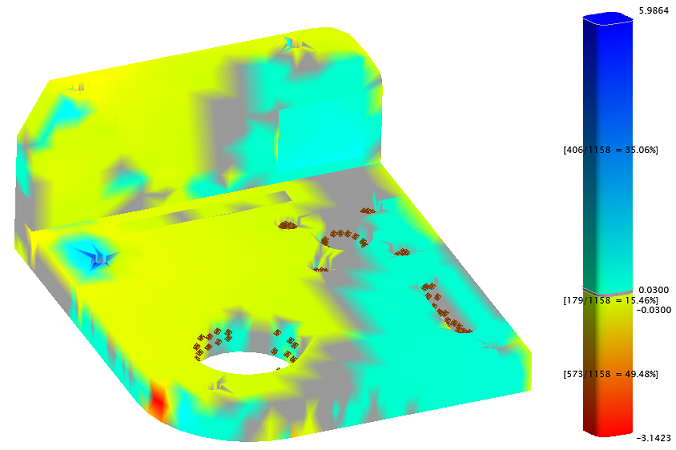 While SA could build a colorized mesh to display point deviations in the prior version, this function has now been expanded to be used with point clouds. It provides a means to display a colorized surface displaying deviations as transitions between colors. Colors can be configured using the same parameters used for vector groups. Significant enhancements were made to accelerated vector generation and cancellation for point clouds as part of a query. Additional sub-sampling controls have been added. This subsampling option has also been added to geometry fit operations. 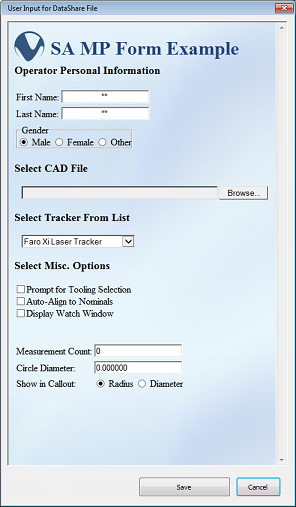 Added option to export individual measurement profiles so that specific profiles can be moved from machine to machine. Added tighter integration with the Leica LAS scanner. API I-probe and V-probe improvements. Faro arm interaction improvements including auto-proximity scanning. Load HTML Form. This new MP command adds the ability to present a custom webpage to an operator in order to ask for a wide range of data entry needs. It can eliminate the need to present the operator with a series of data entry dialogs. The default inputs are read from a data share file and the operator’s responses are then written back into the corresponding datashare fields.